Old Fashioned, New England Flavor! Our most popular flavors at a great price! Delicious jam sampler; Wonderful presentation. I bought a jam sampler for my son and for my sister. They absolutely loved these jams. They were packaged so well and individually wrapped. I will continue to purchase this sampler for many occasions! 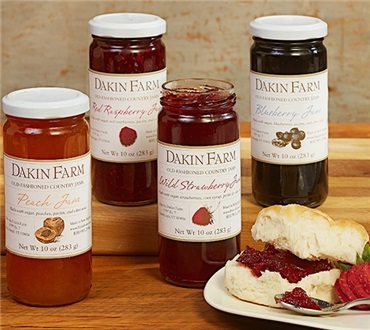 Love the jams as I use them in the morning on my English muffins. Greatttttt!